So what tennis skills make a great player ? Tennis is a difficult game. It takes many years to really master it! Learning theory tells us that it takes about 10 years or 10,000 hours of practice until you can maximize your tennis abilities! The great thing about it is that any tennis player, and I would include Roger Federer in this, can always find something to improve and work on with their game! Check out this amazing rally and think about all the skills necessary to play Tennis like this! In order to find the most important tennis skills we should think about what tennis really comes down to. and hitting it to the right targets! So to be good at Tennis you need to be able to move to the ball, hit the ball well and also know where to hit the ball! I believe that the difficulty of this game is what makes it so much fun. 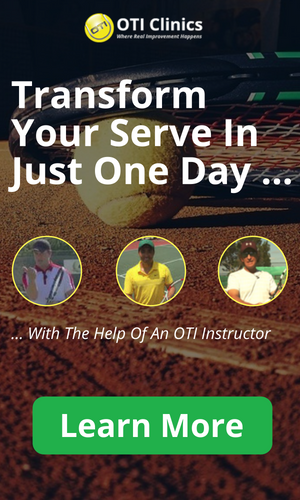 People are never done improving and this endless process of trying to improve your tennis skills is what keeps people motivated to come back and play some more! In order to hit the tennis ball you first have to get to the tennis ball! So it all starts with some sort of general athleticism that is necessary to play this game. Athletic skills are in large parts transferable. If someone is a good soccer player, that should help them move reasonably well around the tennis court. I advise all of my younger students to play soccer and other sports to develop general athletic abilities before specializing in Tennis! Balance is another very important tennis skill. Great players like Roger Federer always seem to be in balance. Hitting a ball well when it comes right at you is one thing but to keep your balance and hit the ball well in difficult situations on the court is often what separates players at different levels! 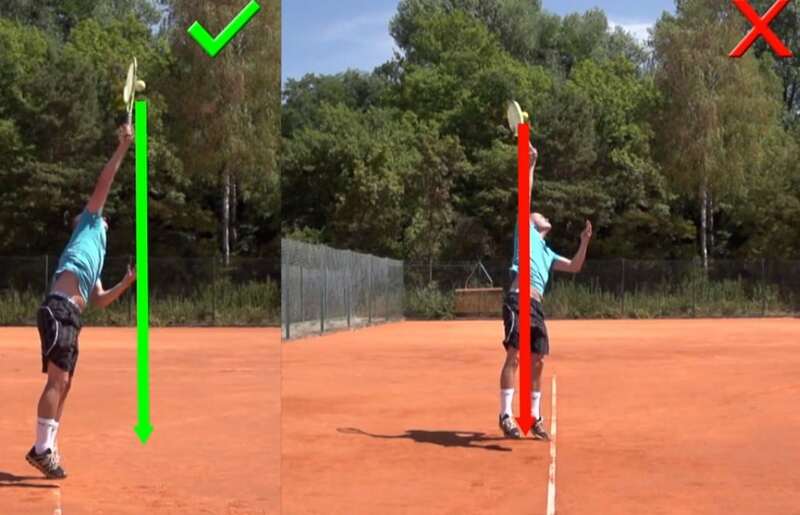 Balance can be improved on-court with specific tennis drills or off-court in the gym for example. In Tennis you constantly have to coordinate your body movements with what your eyes observe in regards to where the ball is and how it is coming at you. This tennis skill is much discussed among coaches. Some people are certainly gifted when it comes to hand-eye-coordination (Andre Agassi comes to mind) but I believe that it naturally develops when playing Tennis. Only for the little kids do I have certain exercises and games that focus on hand-eye-coordination. Judging the speed and spin of your opponent?s balls. Every tennis player develops this skill over time. The more you play and the more different types of balls you have to play against, the more you can judge the speed and spin of the ball coming at you. 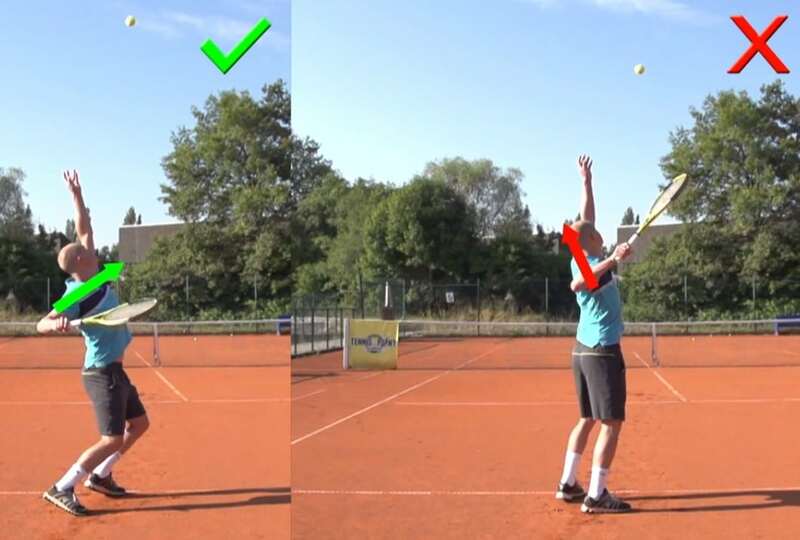 If you play enough Tennis you will not have to worry about developing this tennis skill; it will develop automatically! To me it all starts with motivation. When a new student shows up on my court the first thing I look for is motivation. If someone really wants to get better I am confident that I can make it happen. As a coach you can motivate players and it is your job to motivate players but if someone does not have basic intrinsic motivation it becomes very difficult. Concentration is one of the most important tennis skills. You have to be able to focus on the task at hand on the tennis court and get rid of all external distractions. If you are trying to improve your forehand in practice for example you need to be able to focus on what you are working on and then repeat the correct motion hundreds of times. To some people this process is fascinating and they frequently get in the zone (a state of mind where you are completely immersed in the task at hand and forget about everything else); to others it can seem boring as well. It is of course much easier to become a good tennis player if you enjoy working on certain parts of your game and immersing yourself in the process! Great players enjoy the thrill of competing. Tennis is a one on one battle and it can be tough and lonely out there on the court when things are not going your way. Unlike in team sports you do not have teammates to cheer you up and coaching is not allowed. That?s what makes tennis so difficult on the mind. Not everyone is made up to be a tennis player! On the other hand the feeling of winning a one-on-one battle can be amazing and many players get addicted to this feeling of winning a match that is important to them! Playing a tennis match is all about solving problems. Once you are in a match you can no longer effectively work on your strokes or completely change your game. You have to try and win with what you bring to the court that day and what you have developed over the last couple of months and/or years. Every opponent is different and so you have to deal with your opponent?s game and tendencies as well. A great example is the match-up of Roger Federer and Rafael Nadal. Federer has to deal with the fact that Nadal is left-handed and that he will hit heavy high topspin balls to Federer?s one-handed backhand all day long. These problem-solving skills develop over time and a lot of it becomes intuitive as well. Again playing a lot of matches will develop these skills!